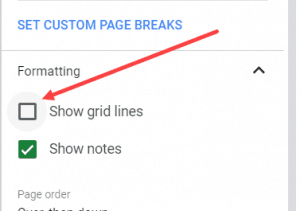 A drop-down list in Google Sheets can be helpful when you want the user to select from pre-defined options. It’s a great way to make the data entry consistent. You see the benefit here. By giving him a ready option in the form of a drop down, you have made data entry easy as well as consistent. How to Copy Drop Down Lists. 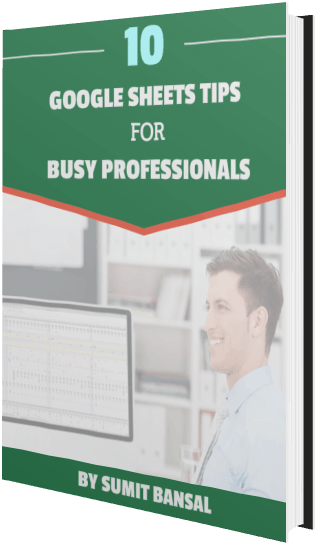 How to Remove Drop Down Lists from Cells. Using a range of cells to create the drop down. Manually entering the items of the drop down list. 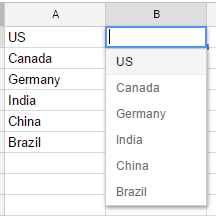 Suppose you have a country list in cells A1:A6, and you want to get drop down list in cells B1:B4. Select the cell in which you want to create the Drop Down list. If you want to get the drop down list in multiple cells, select all the cells. 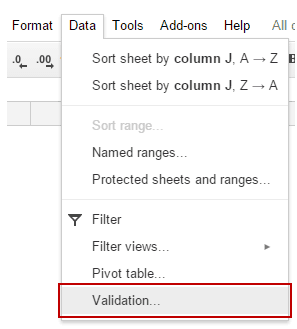 Go to Data –> Validation. 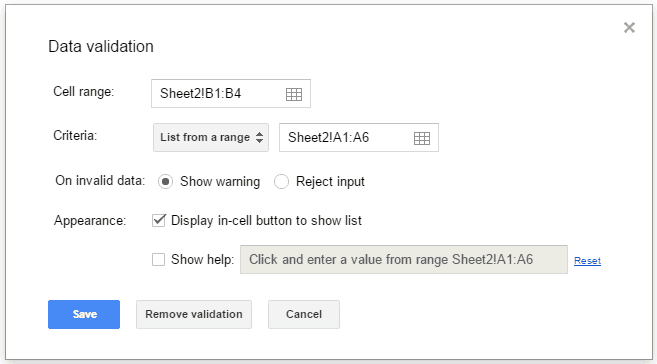 This will create a drop-down list in cells B1:B4 and will show the items in the range A1:A6. There is also an option to disable data entry in the cells if the entered data does not match the items specified. 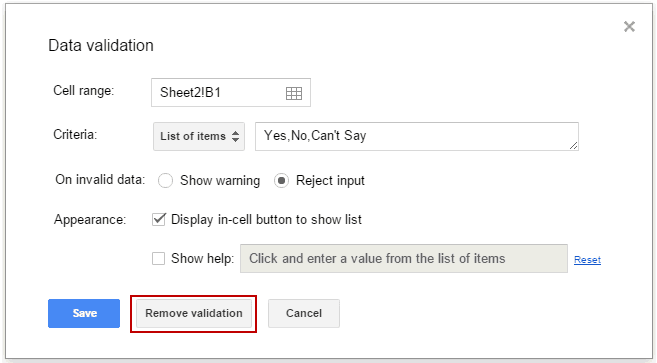 To do this, in the data validation settings (as shown above), in the On invalid data, select Reject input option. If you want to create a drop down list with static options (such as Yes/No, High/Medium/Low, Agree/Disagree), then you can also manually enter these options in data validation. This will create a drop down list in the selected cells will show the specified items. 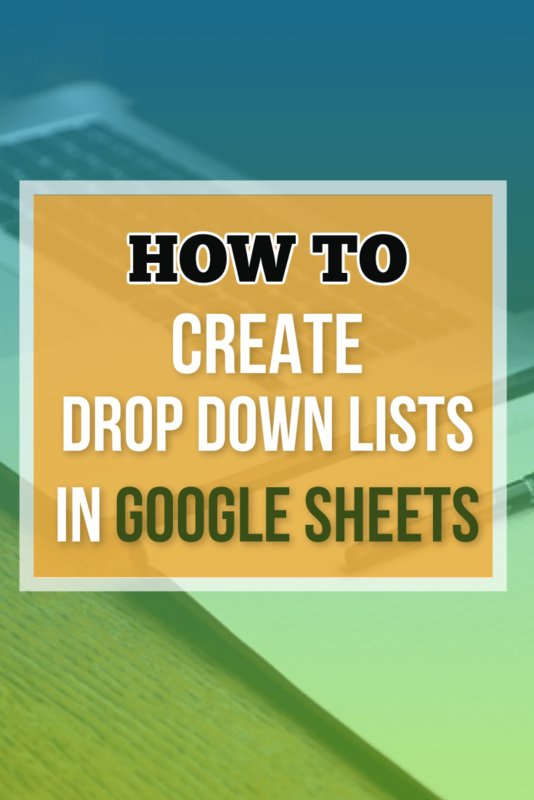 If you have a drop down list in one (or more cells) and you want to quickly copy the drop down, you can do so by using this simple copy paste trick. Copy the cell which has the drop down list that you want to copy. Select the cell/cells in which you want to copy the drop down list. 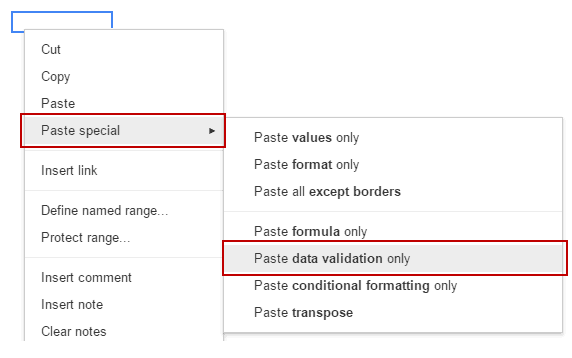 Right-click and go to Paste Special –> Paste data validation only. This will copy the drop down list to the selected cells. Note: You can do the same using a simple copy and paste as well, but that would copy the formatting as well. Select cells from which you want to delete the drop down list. Click on the Remove validation button. 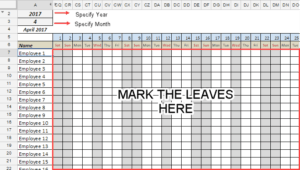 Related: Creating a drop down list in Excel. 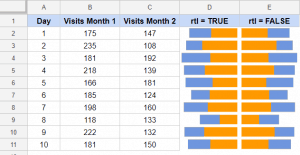 VLOOKUP Function in Google Sheets (explained with examples). 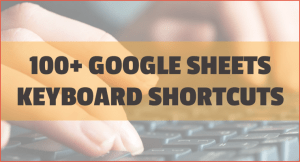 How to Insert Spin Button in Google Sheets.